M y cousin Angus was the epitome of a self-educator. The last time I was visiting with him, he was showing me all these different webinars that he had been watching that most people either pay for or take a class in person. He kept saying, “Why would I pay for it if all the information I need to know is already on the internet?” Whether it was building a business from the ground up or a subject that took his interest, he was finding all he needed for himself. He had such a good point. I am an independent ceramic artist; however, I have no formal education in the art past a high school diploma. I was so fortunate that my high school had a 4 year ceramic program and I was given the opportunity to express my creativity through a 55 minute period in my everyday schedule. I knew that I wanted to pursue a life-long relationship with the arts but there was no way I was going to: a) spend the first 2 years in a four year program studying subjects that I had no interest in, and b) spend over $20,000+ a year on in-state tuition that would land me a starving artist position with a bachelor’s degree owing the government tens of thousands of dollars and no way of returning the money. In the past 4 years of being out of high school, I have had to figure out how I wanted to go about honing in on my skills to create a more professional selection of pieces without succumbing to the decision of just going to college and taking out student loans. It’s all about research. Just by typing in “throwing a lidded form on the wheel” into the YouTube search bar, an array of short how-to videos come up. Albeit, some videos are better than others, it’s about taking the time out to find someone who is great at explaining and showing examples of his/her work. 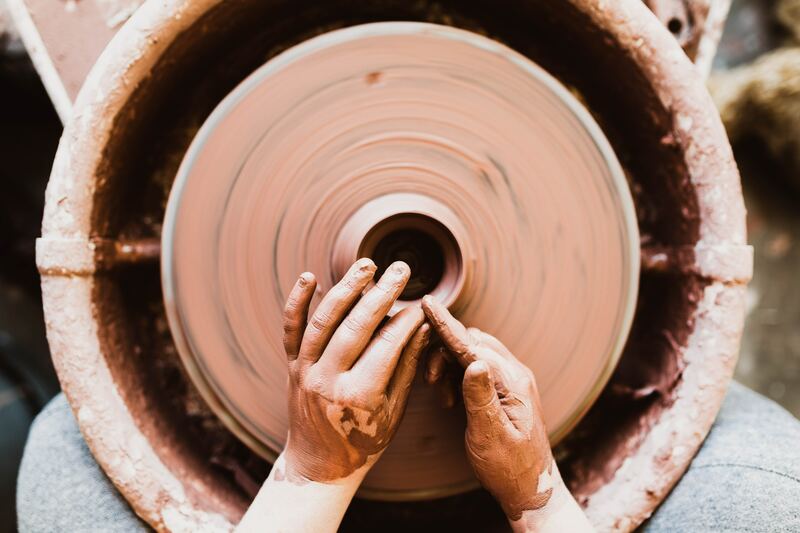 By subscribing to emails with Ceramic Arts Daily, Potters Council, and many other online newsletters, I’ve been able to virtually pick the minds of master potters without having to pay for it. 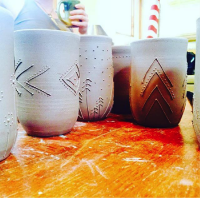 Even in person, technique can be a hard thing to teach when it comes to ceramics. 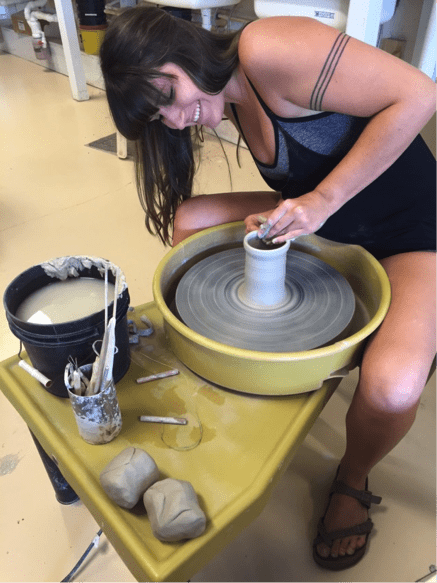 When making a pot on the wheel, it is all about the feel of the piece. You can feel when there is a weak spot on the wall or when there is not enough meat around the base to sustain the shape you’re trying to achieve. Finding those select people who can explain techniques in the vocabulary that speaks to you is very crucial. It can otherwise become very frustrating, yielding poor or misinformed results. This may be easier said than done. 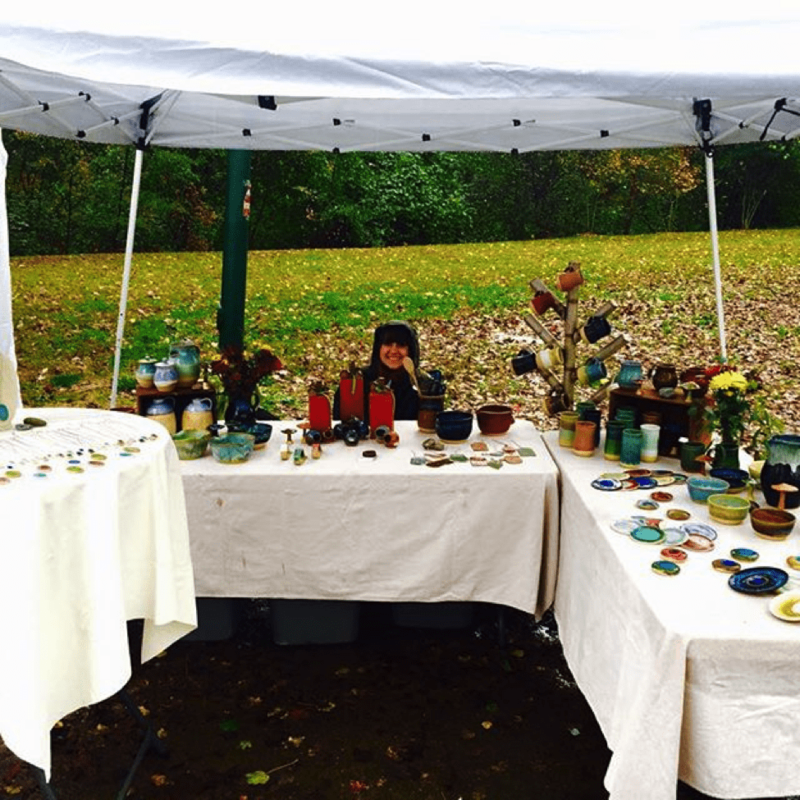 I’m trying to get my pottery business off the ground and I feel like I’ve gotten pretty lucky. 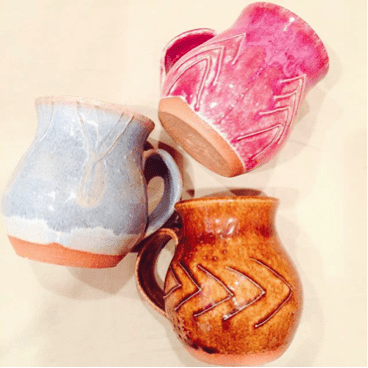 A couple years ago I landed a job at a production pottery studio where I was paid by the pound to make mugs, bowls and the like over and over again, but I also got to see exactly how he ran his business and his week to week schedule. Some passions can be achieved by wiggling your way through online videos and chat rooms, reading newsletters and countless hours researching and hands on practice, and some the only way is through formal education. Even if you have to take the formal education route that leads to a diploma, self-education can further better yourself in the field you love. All the information is out there, you just have to look for it. Which road have you taken? Let us know in the comments, and make sure to share this article with your friends.